IN CORTEXGEAR: ANGRYDROIDS, YOU PLAY AS: an alien(main character) hacker who take control of a CortexGear(A robot with an implanted brain) to destroy the other AngryDroids. The alien is one of the last survivors from a Cortex war(A war based on hacking the opponent) against the AngryDroids. The alien is also from a new generation of CortexSoldiers(Soldier with great hacking abilities), the generation after the ultimate CortexWar against humans. Find his(main character) true origin through the game story,in a world infested by angrydroids. BRAVE THE GAME WITH YOUR SKILLS AND REFLEXES: CortexGear:AngryDroids is a challenging action-adventure game where you have to use your head to find your enemy's weaknesses, to trick your enemies with traps and make puzzles. You will have to hack computers, get use to the tricks and combos, because the places are vast and hostile, the way forward is not always clear, and death will meet you as soon as you let your guard down, but be brave, fight well and explore carefully, because droids are angry, and have no pity. 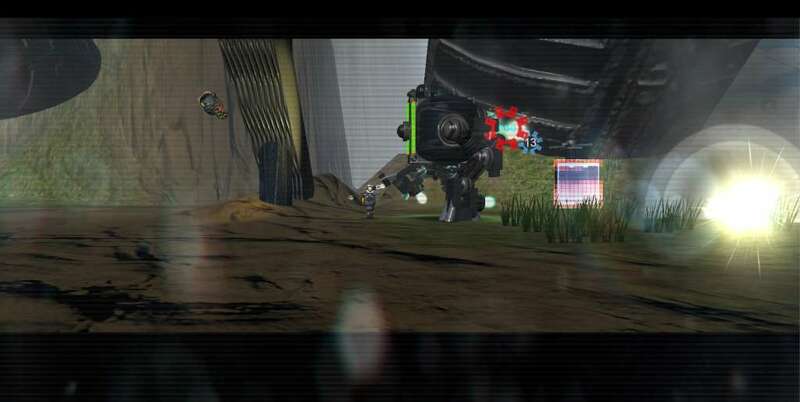 The hardest sci-fi shooting sidescroller is a clasic 3d Sci-Fi shooting sidescroller where quick tactics and skills need to be in harmony the beat the game. A run-and-gun shooter with both mouse and keyboard controls at the same time. An adventure game with a emotional story and epic game-play. Potentially therapeutic and emotionally educational, it's a game for PC, Mac and Linux.